10 x Large Double Wall Moving Packing Removal Boxes 20"x16"x16"
20 x Large Double Wall Moving Packing Removal Boxes 20"x16"x16"
40 x Large Double Wall Moving Packing Removal Boxes 20"x16"x16"
50 x Large Double Wall Moving Packing Removal Boxes 20"x16"x16"
100 x Large Double Wall Moving Packing Removal Boxes 20"x16"x16"
180 x Large Double Wall Moving Packing Removal Boxes 20"x16"x16"
In this section you will find size 20x16x16" (508x406x406mm) double wall cardboard boxes. Mainly used throughout various industrial businesses as stock cartons/boxes, for dispatch to customers. Also used in the removals industry. Easily hand carriable once full and easily fits through doorways. A solid large size it is also good for heavy items, files & folder storage, warehouse dispatches, and for use as postal boxes through courier networks. 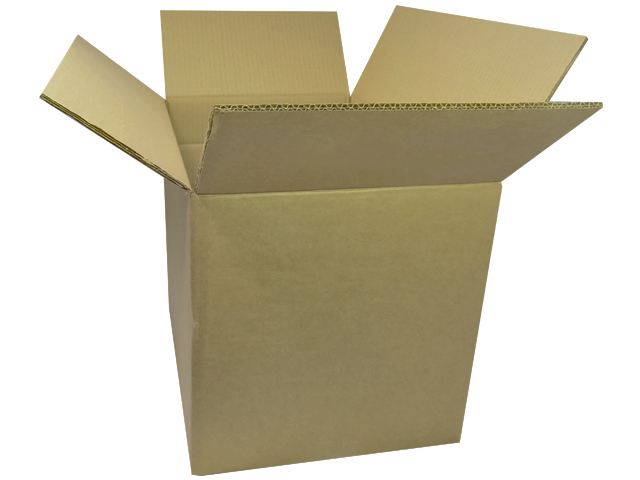 These strong double wall cardboard boxes are also widely used for storage, and can stack on top of each other for a continued period of time.